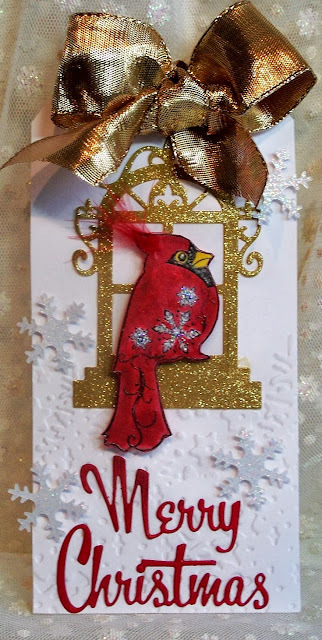 This week we are playing with the Cardinals Clear Stamp set by Prickley Pear. know about the dies, next visit! 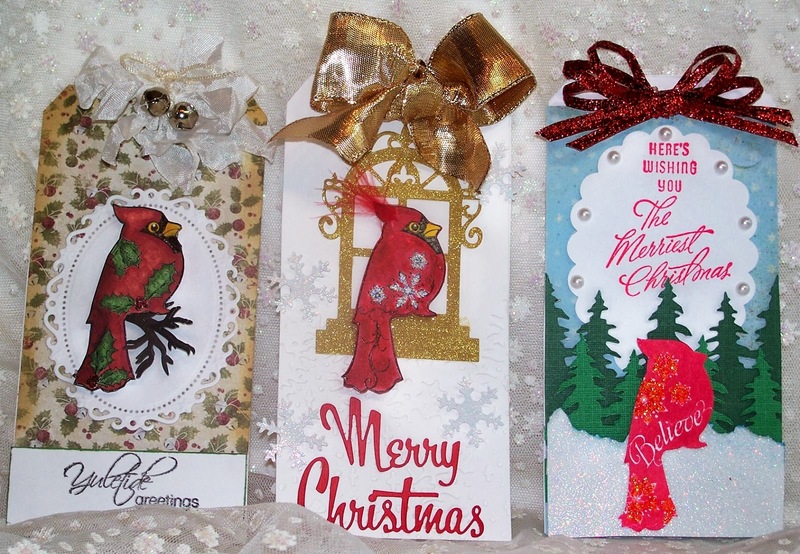 I made Christmas gift tags with three of the four cardinal images included in the package. 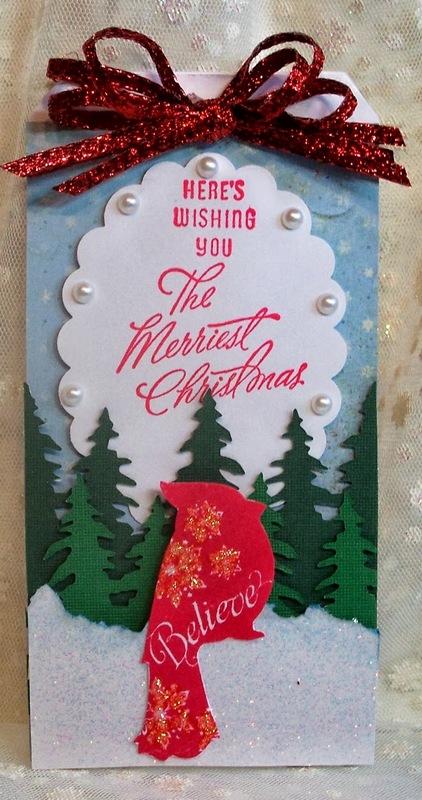 There was also a sentiment and a music stamp with pine cones and fir tree branches. words "TO" and "FROM" . Wouldn't these be so pretty on a beautiful gift bag or wrapped box? Gorgeous tags Sue! I love cardinals...have only seen one in the wild & it was a thrill...they say we have them here in Manitoba but the one I saw was in Arizona. Great tags and I love how you did three totally different ones showing how different bird can look - genius! I like them all but I am partial to the sparkliest one of course! Hugz! These are positively delightful. I love the little cardinal especially with the greeting on him. These tags are wonderful. Gorgeous tags Sue, love them all but the one with big gold bow has totally captured me! Wonderful work!